The Mpeti Villa, newly renovated and ready to welcome you! 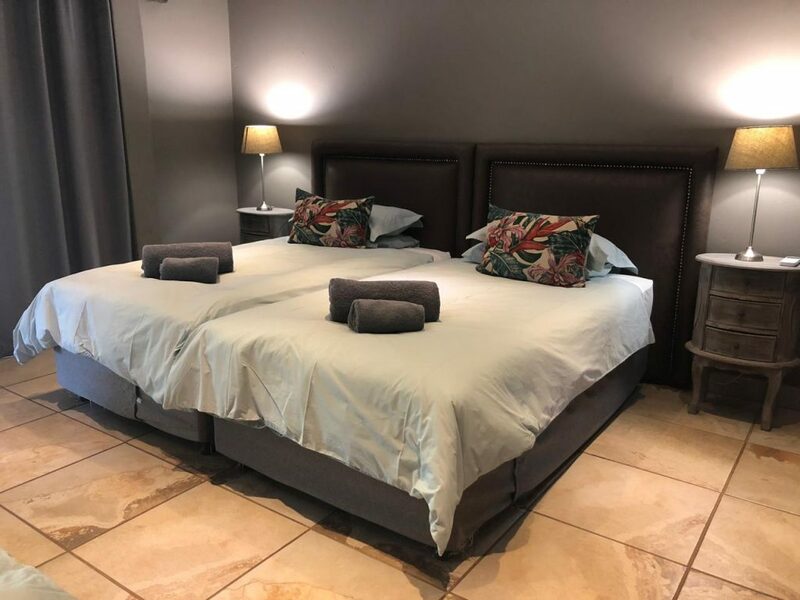 It’s the perfect family getaway, nestled in the rich KZN bushveld it provides all the home comforts one could hope for. This self-catering unit can sleep 8 people comfortably and has 3 bedrooms. The bedrooms can easily be set up with four King size beds, eight Single beds or a combination of both. Each bedroom has its own bathroom. That’s right, en-suite for everyone! The main bathroom has a bath & shower while the other two bathrooms have showers only. 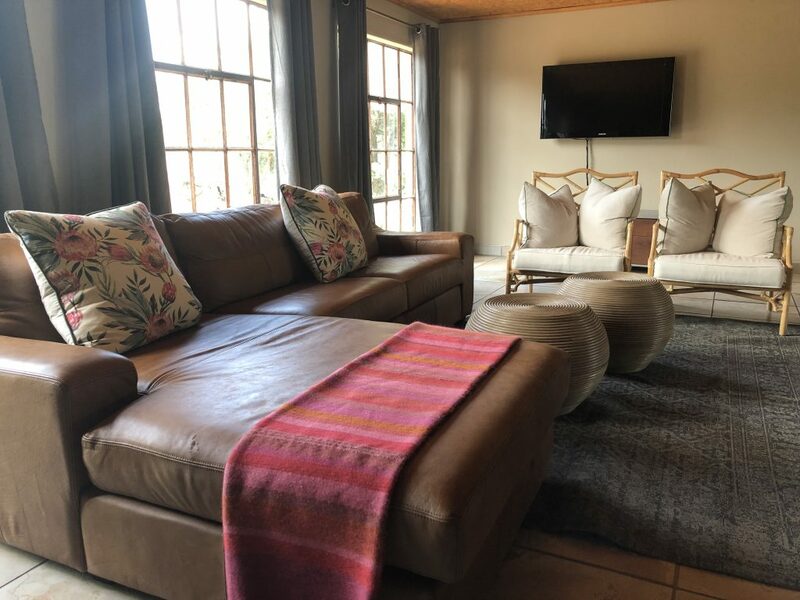 The spacious lounge area has a flat screen TV with the full bouquet DSTV to ensure you don’t miss your favourite program or that big rugby match even if you are in the middle of the bush! The kitchen has been equipped with a fridge, stove, microwave, toaster, kettle, cutlery & crockery. All the necessities to prepare a scrumptious meal for your family. 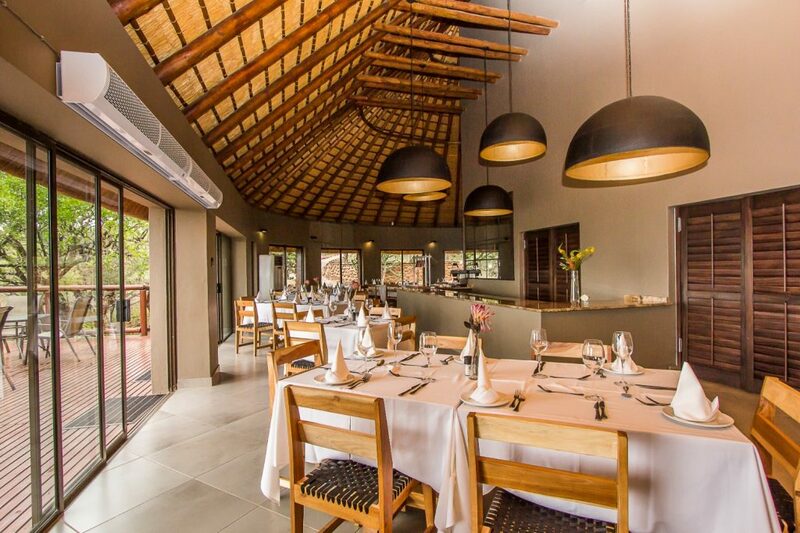 There is both an indoor & outdoor dining area as well as a braai facility (because what is a bushveld stay without a braai, right?). 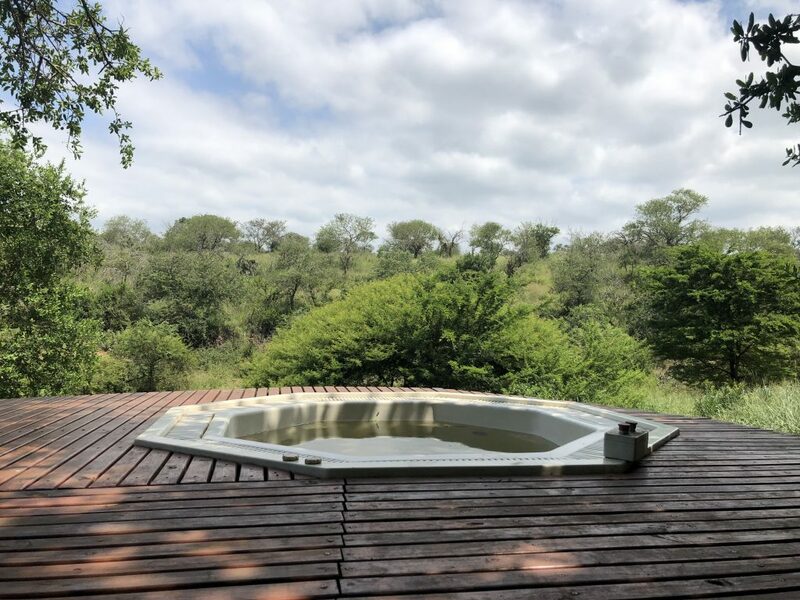 The private deck has a jacuzzi that overlooks a watering hole. 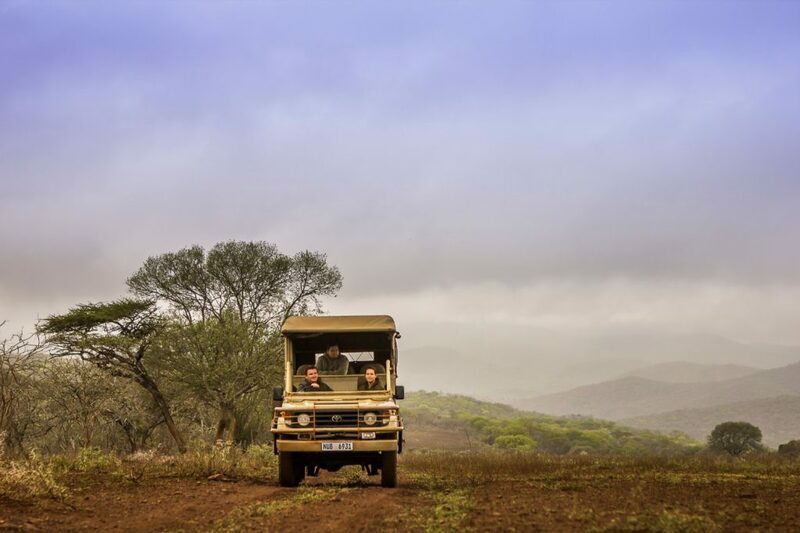 Hours can be spent viewing animals in their natural habitat while you soak up the bushveld goodness. That’s not all, the restaurant at the main lodge is available if you want to spoil yourself & your family to lunch or dinner. Our full bar & wine selection makes sunset cocktails on the deck ideal for lazy bushveld afternoons. Don’t forget to book a game drive with us. 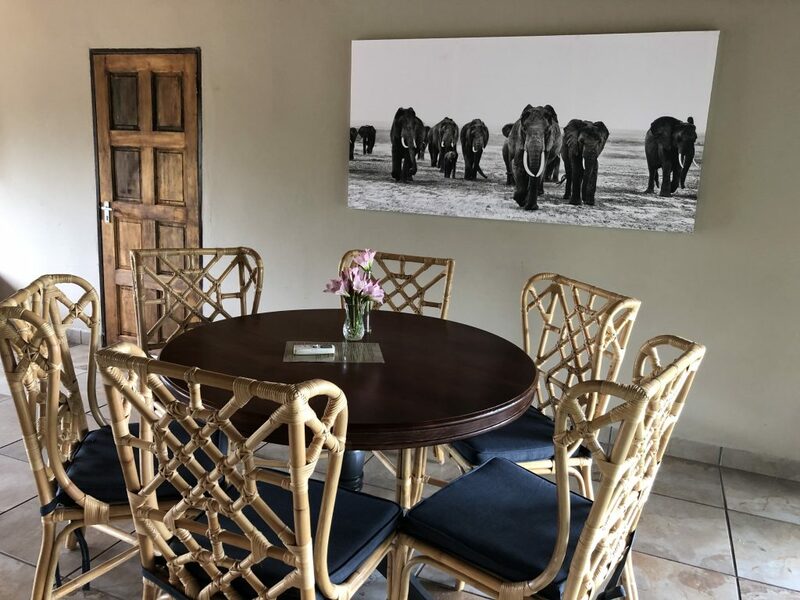 This unforgettable experience is available to all guests who stay at Mpeti Lodge with prior arrangement.